We celebrated Onam on Sunday. Made pookalam, had a grand feast, which my mother made, wore new dress. 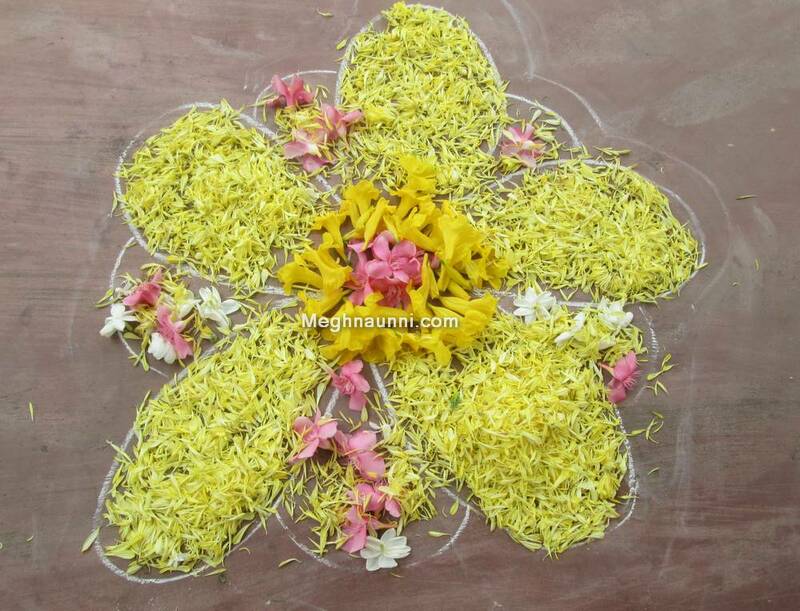 Here is my pookalam. 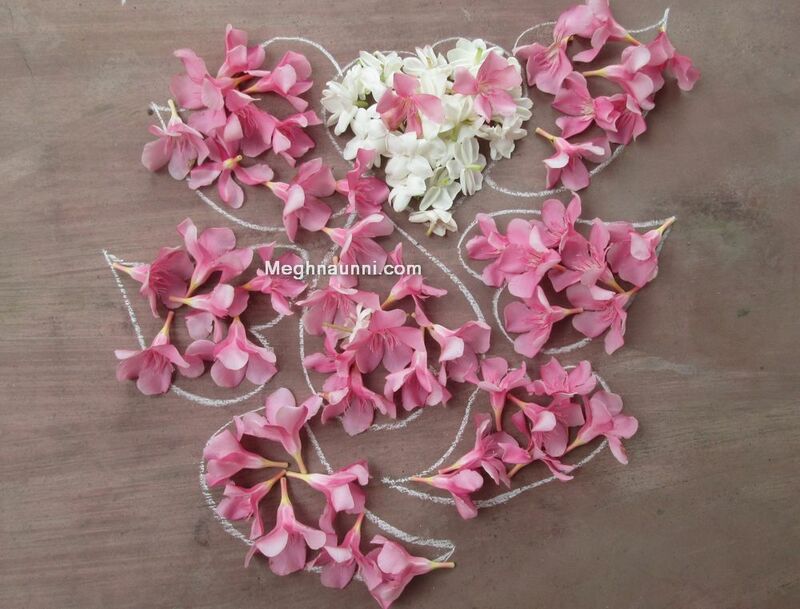 We bought the flowers from Koyambedu market and I made the Pookalam. 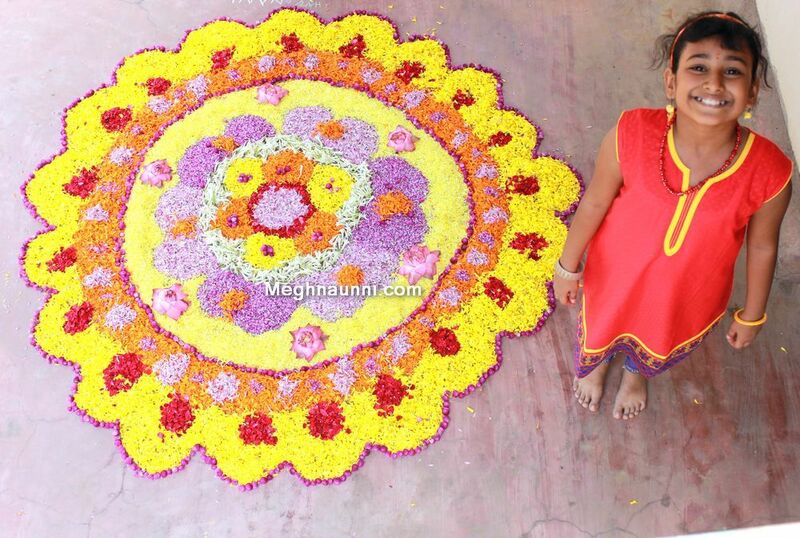 Here is my big Pookalam for Onam. 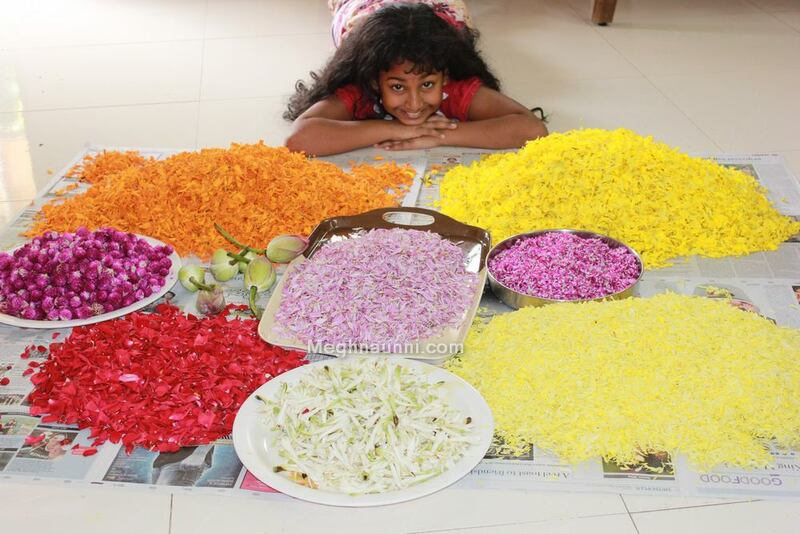 Me, mom and my dad prepared the flowers for making the pookalam. There was a large quantity of flowers in different colours. Two of my pookalams on the first days from Atham. There were so many dishes for our Ona Sadhya (feast). Parippu, Pappadam, sambar, aviyal, pachadi, kichadi, kalan, inji curry, mango pickle, lemon pickle, thoran, Ethakka Upperi, Sarkkara Varatti, Ada pradhaman and Pineapple pradhaman. Liked all the dishes. 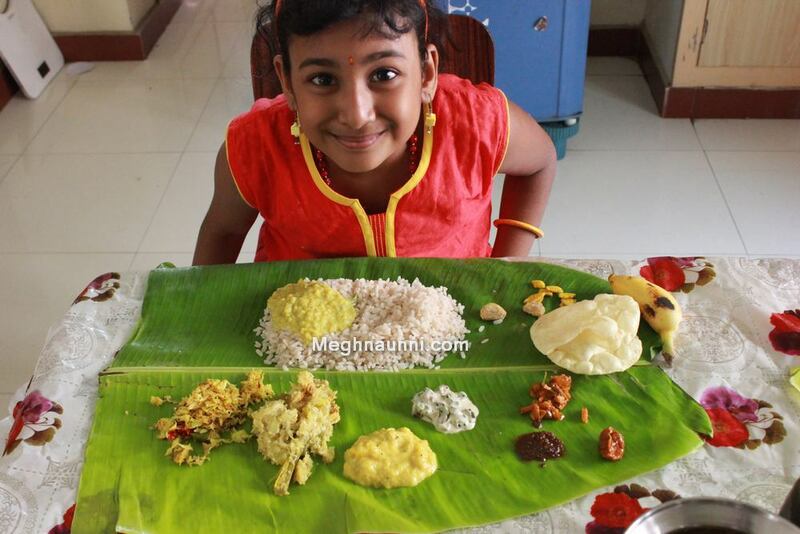 Here is my Ona Sadhya on Plantain leaves.